Heat oven to 350°F. Line cookie sheets with cooking parchment paper or silicone nonstick baking mat. Slice roll of cookie dough into 14 (1/2-inch) slices. Cut each slice into quarters; roll each quarter into a ball. Place at least 2 inches apart on cookie sheets. Bake 7 minutes. 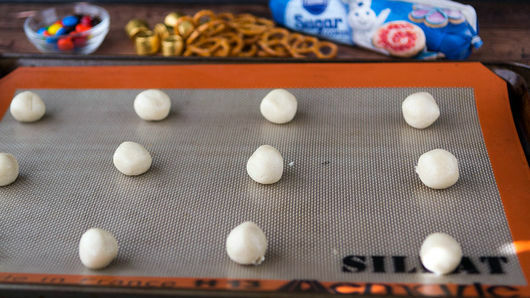 Remove cookie sheets from oven. 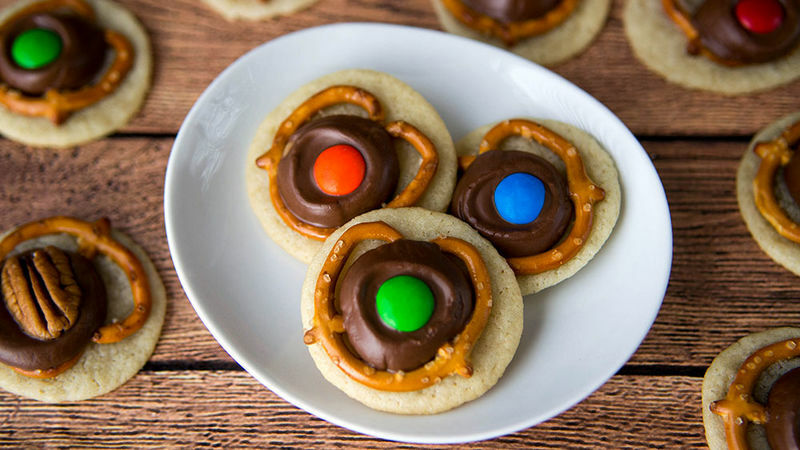 Place 1 pretzel then 1 candy on top of each cookie. 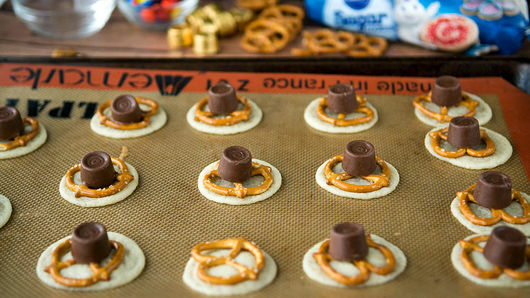 (Cookies will still be slightly soft on top so don’t be alarmed if pretzel digs into top of cookie. That will just help it adhere.) Bake 3 minutes longer. Store cookies in airtight container up to 3 days. 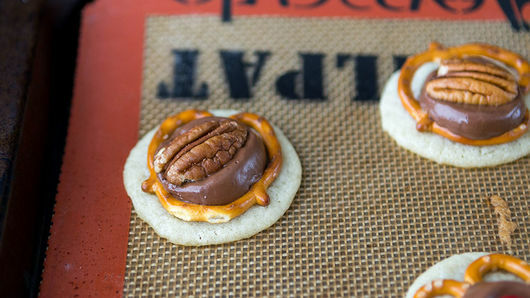 If you want to freeze cookies, use pecans instead of colorful candies; candies will crack or lose their color in freezer. Use your favorite nut instead of the pecan half.